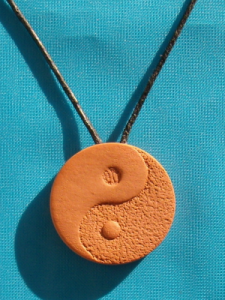 What makes Terra Cotta Pendants nature’s best Aromatherapy diffusers? Many things. 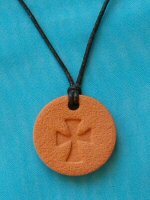 First, let’s take a look at the words, “terra” and “cotta” to understand what Terra Cotta Pendants are made of. 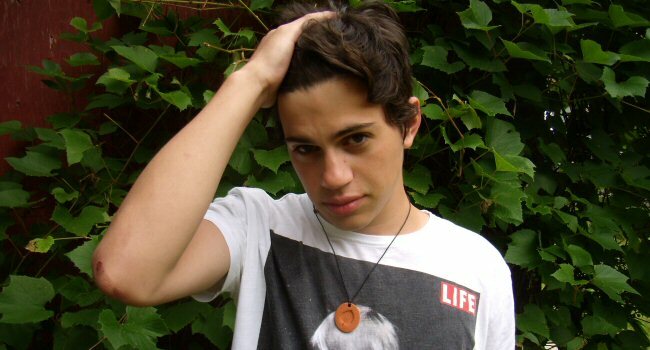 Terra, according to Wikipedia, “terra” is the Latin, Portuguese and Italian word for earth. Some say the words “terra cotta” come from the Italian, “terra” meaning earth and “cotta” meaning baked. 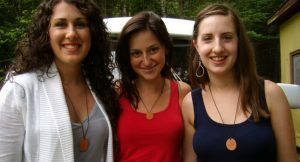 The terra cotta clay we use to make our diffuser necklaces is just that, pure earth that is baked. 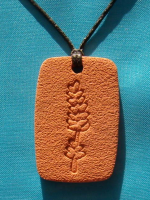 For the purposes of making Terra Cotta Pendant diffusers, the clay is baked at very high temperatures for many hours in a special oven called a kiln. This firing allows the water that was previously soaking the clay to dry out, leaving tiny air pockets in the hardened clay. The pores remaining are small and numerous. 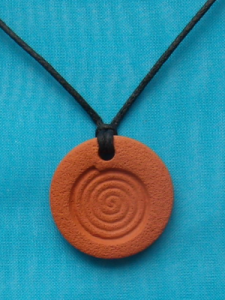 It is these tiny pores that make kiln fired terra cotta clay the perfect natural diffuser for essential oils. 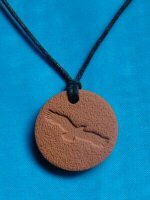 Our Terra Cotta Pendants are all made by hand with quality-ensuring, trade-secret techniques developed in the years we have been making them — since 2003. 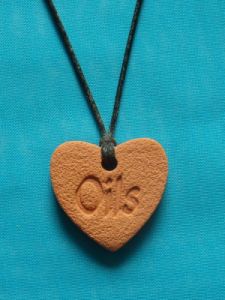 The tiny pores serve as receptacles for essential oil, which both absorb and release the oil. True and pure essential oils are naturally volatile. This means they do not require the application of heat to diffuse. They “flash off” naturally at normal temperatures. 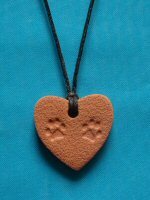 When you apply a drop of essential oil to the terra cotta clay piece, it quickly becomes absorbed into the tiny air pockets. Then it slowly and steadily diffuses from the air pockets into the air around it. They are like rocks – are they heavy? 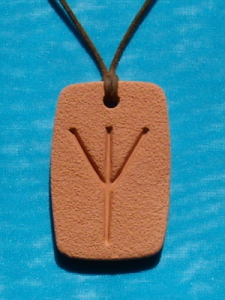 Terra Cotta clay pendants are surprisingly light in weight. The kiln firing removes all the water from the clay, the water being the heavy element of the clay. Yet they are sturdy and tough enough that you don’t have to worry about them breaking when you’re wearing them. The beauty of terra cotta is that it is all natural. One may say it matches your skin, laying softly and lightly against it while steadily diffusing your chosen oil into your personal breathing space, even when you tuck it in. you will want to show them off!